The physical world restricts us to one life, but tomorrow’s tech will enable multiple digital identities with more levels of privacy and incomes. It will soon be possible to outgrow today’s limits, with each person able to enjoy multiple exciting global lives. You know when gray-haired people mutter that life is too short? Well, it is and as much as we want it, medical research won’t change that. Life extension won’t be possible for our generation. We will die when our DNA says it’s our time. So why just live one short life? You’re no longer limited to only one life and identity in the Expandiverse. Why not pursue more lives as different people with as many different needs, likes and desires as you want to experience? Life expansion is now possible. Some would say Charlie Sheen has managed this quite well. However, why shouldn’t you have the opportunity as well? 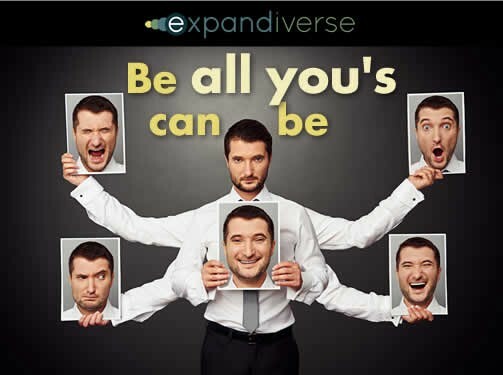 In the Expandiverse, you can be several different people with several different sources of income. And did we mention several different pets, homes and friends. (digitally speaking, of course.) Imagine if your work persona had an entirely different identity from your golf-playing persona. Or your guitar-playing persona. Or your partying persona. Especially your partying persona. You’ve always been restricted to one identity. Into a social role, a limited self. That seems like an obvious norm from the single physical world we’ve always had. But what if your digital life expanded to several lives? What if you had multiple identities, each of which you control, in each of which you could live as much as you choose? Impossible? Not if you take control of your own identities and each one’s Shared Planetary Life Spaces. Not if you decide which Life Spaces each of “you” participates in (and which you won’t). Not if you have Expandiverse technology at your fingertips. Why should your digital business lives, personal lives and family lives have to overlap? Why can’t digital boundaries keep them separate? Why can’t you share one life space with business colleagues, and a totally different and separate planetary life space with your immediate and extended family? We all move into and out of activities that include people who have certain aspects like ours, or are merely people with whom we’d like to commune and communicate for a while. On a digital planet our chosen groups will be right-sized by us, and evolve with new connections. Why should geography, income or place of birth limit us and our opportunities? What if you could get up every morning, survey your world and decide that sugar-blasted breakfasts, fresh-faced celebrities, ice hockey and game shows no longer had a place in it? Oh, baby, baby, baby. What if the technology was in your hands to participate in the local and global entities you want whenever you see fit and for however long they make you (or at least one of your identities) happy? The choices will be yours. Use them wisely. For each “you” that you choose to be. You know how a growing number of governments monitor everyone and everything they do digitally? Well, they are and new laws to limit governments won’t help — governments secretly do whatever they believe is right, and tell us whatever they think we want to hear. We may be the last generation that actually experiences digital privacy, and for us that’s already a memory. So why stay limited to just one totally monitored public identity? In fact, Expandiverse boundaries let you set each identity to public, private or secret. Each of these privacy levels changes your online visibility, what’s revealed or not, its encryption, and more. As you switch identities the ease or difficulty of monitoring you changes with both your identity and its privacy boundaries. How will government record everything you do if it’s also trying to keep up with who you are? You’re switching as often as you like. Your identities also don’t have to be subject to one particular location. You might be physically in Asia, but operate as four different people in eight different Shared Planetary Life Spaces, none of which are totally inside any one country. It’s like being a citizen (several citizens) of the world. You could have a public with a global company, a physical relationship where you live, be a private digital adventure traveler with friends on several continents, and a secret digital journalist who covers the world’s latest hot spots. Millions of people already hold dual citizenship with passports from two countries. If we add digital citizenship, dual citizenship could become quite normal. Since countries have control over only their citizens and their physical geography, then all law becomes local. Life becomes like living in a dry county where you can’t drink alcohol — until you drive to the next county where it’s legal for bars to stay open until 2 AM. Tax reporting: Each multiple identity may be required to share it’s owner’s one government identifier such as a Social Security Number (SSN), or alternatively, each identity may be given a separate number such as its own SSN or tax ID number (like each legal entity receives, such as a personal trust or a personally owned company). Privacy boundaries: Each private or secret identity may be required to be visibly linked back to a person’s public identities to protect against immorality, law breaking, fraud, and other damaging behaviors. Law enforcement: Each person’s public, private and secret identities might be connected in a directory accessible only to legal authorities — so they can conduct investigations, serve subpoenas or make arrests if needed. It’s a win-win. Laws and morals stay in place while you benefit from greater freedom and personal latitude to explore a wider range of life’s opportunities and adventures. Just choose your identities, locations and worlds. Then enlarge them as you grow from worldwide experiences, becoming your unlimited best selves rather than being limited to one societally controlled identity. Defeating death from one short life, increasing your privacy and expanding your lives and worlds — that might become popular as the Earth turns into one digital room with everyone in it. You choose the identities you enjoy, live the legal ways you want, and create your selves. How much “self-control” would you like in your expanding future? 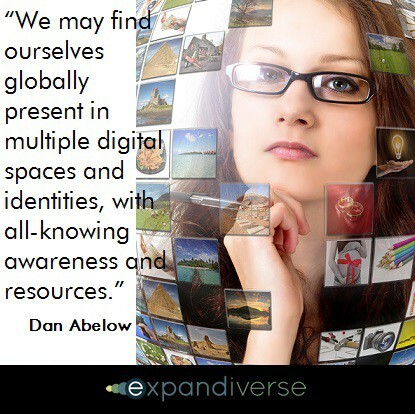 In the Expandiverse your relationship with technology could change drastically. In fact, tech could change your relationship with reality (without any counseling). As digital becomes our way of life, you will gain more power to control your realities. 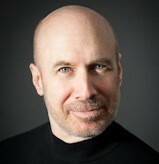 Wouldn’t it be much more interesting if digital technologies reflect the ways you want to live, and your best selves? 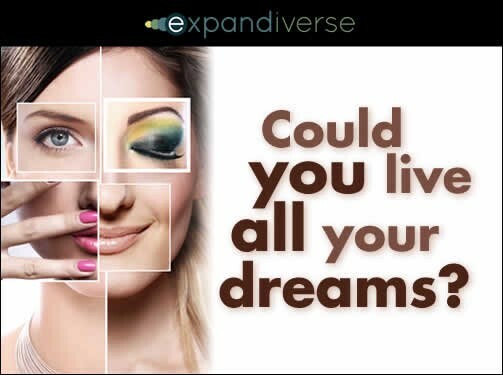 With Expandiverse Technology your life could, in the not too distant future, be constructed and lived under your own digital rules. As you turn it into many simultaneous lives each can have locations, goals, shared spaces, friends, income, worldwide presence, knowing resources, and privacy boundaries to include what you like and exclude what holds you back. This way, we might just improve ourselves a little quicker. We can find out more about what really makes us feel good or successful. Or even fully alive. Then share that with those who want those advances too, and exclude those who disagree. Discover if you’re happier when you get to live multiple ways that keep bringing you the experiences that help you grow into who you’d really like to be. So, please, wander in, take a seat, pull out your life’s dreams and think about having larger lives and worlds than you ever imagined you’d experience. You might wonder, how far will it all go? How much — and in what ways — could your “self-control” develop over the coming years and decades? And how would we develop together if we could all become people who could make our dreams come true? Next Section and Chapter: Where are we in the Digital Revolution?